On this Podcast we go on the hunt for Werewolves. The mythical creature of a half-human, half-wolf hybrid whose roots run deep throughout civilization and have made them a Halloween favorite across the world. The stories of werewolves have permeated every facet of media with the creatures now synonymous with tales of vampires and ghoulish monsters. But it’s their modern move into the world of fantasy fiction that has truly cemented their place as a cornerstone in the canon of horror. Creating iconic imagery like the silver bullets used to kill them. Or the talk of their bite transferring the condition. All mixing with the Middle Ages fables of full moon that brings about their appearance and the full lexicon of the curse of the Werewolf. We look at the genesis of the stories of Werewolves and the mass of mythology that surrounds them. 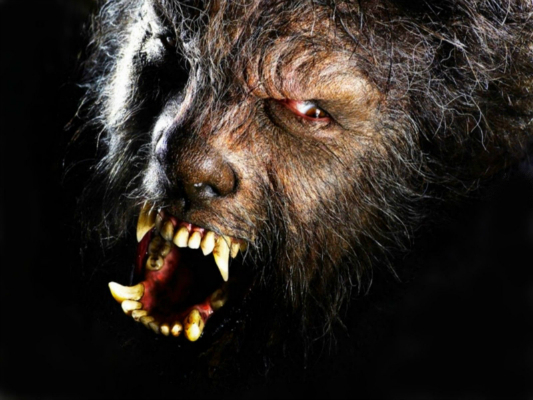 With historical records of Werewolves incredibly dotted throughout human history there are many documented cases of purported experiences with Werewolves. The historical records of Greek and Roman empires that highlight encounters across their realms. The ancient Celtic tales of men made into wolves. There are accounts of Parisian baby eaters terrorizing the people of Gascony in 17th century France. And many modern sightings of explained encounters with massive wolf-like creatures and local urban legends. But the Scandinavian history of the Viking Berserkergang and Ulfhednar, fearsome warriors who wore the pelts of wolves and fought with a ferocious carnal spirit may be the major contributor of historical European tales. And the shamanistic stories of Native American skin changers who could transform into a lupine spirit guide. Ancient traditions of people ‘warging’ their consciousness with the mystical abilities to shape shift and take on the characteristics or even the very form of great wolves. A deep and storied tradition celebrated in the iconography of their history. We cover everything from the birth and lunar lit change of the lycanthrope to the streamlining of it’s mythos through thousands of years of human culture into the beast of the Underworld we all know and love. The theories for the explanation of Werewolves come from many angles. Primeval relics like giant direwolves give a tangible basis to traditions of massive lupine mammals. Hallucinagenic poisons and environmental factors are blamed for mass hysterical sightings. 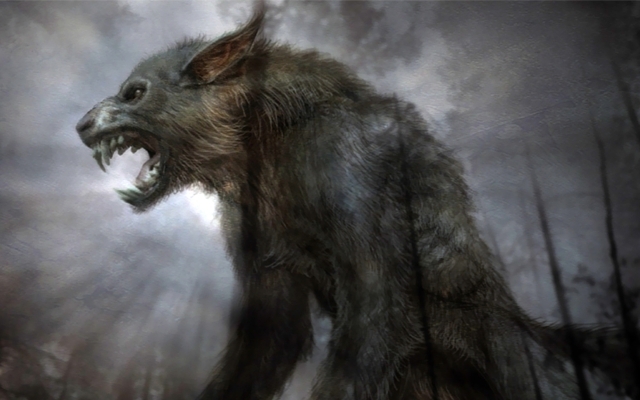 Physiological conditions like hypertricosis that explain sideshow staples of dogmen are also suspected in many accounts of clinical lycanthropy. We also look at the place of the Werewolf in civilization and culture. How religious and societal institutions have used the fearsome face of the werewolf to control behavior and instill fear in people. From ancient scare mongering to religious metaphors of wild sexuality and feral instincts and the stories created to to promote a fear of the creatures of the night and the deep, dark woods. We discuss all the tangible ideas around the creation, uses and propagation of Werewolves. With Jean Grenier, Peter Stumpp, Linda Godfrey, St. Patrick, Vereticus, Jupiter, Petronius, Agriopas, Ergot, St. Anthony’s fire, the Beast of Bray Road, the Wisconsin Werewolves, the Taylor’s Falls Dogmen, Woodwose, the Bordeaux Beast, King Lycan, the boy who cried wolf and Little Red Riding Hood, the three little pigs and the Big Bad Wolf. Just listening to your podcasts in order. Regarding Red Riding Hood. The old stories doesn’t include the huntsman, and the wolf rapes and eats Red Riding Hood.This puts it squarely into the (were)wolf as metaphor for unconstrained sexuality. – and the moral of the story gets very clear then: don’t talk to strangers, don’t believe everything. They probably just want to shove stuff up inside you. The modern stories are christianized/puritanised/disneyfied, but in their symbolic layers they are still the same. Except that the huntsman adds a strange belief in divine intervention/#notallmenarewolves. But I think the attraction of the tale is the just wanton brutality of the vitality of the wolf.